Kraken has announced the updated version to their popular 5000 lumen video light, the Kraken Hydra 5000+! The light is solid, extremely well built, and easy to use. It functions the same as the original in terms of buttons and modes. There are three different power settings on white light, three different settings on red light, an SOS mode, and UV mode. 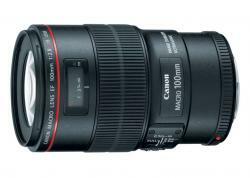 Although geared towards video shooter, photographers can reap rewards from it as well. As it is such a strong light, it can be used to back light wide angle scenes or add supplemental lighting. I have only used it on one dive but I was immediately impressed. I will likely take it on any future dives where I'm shooting things besides big animals in the blue. The thing that sets the Kraken Hydra 5000+ apart from the original 5000 is the color rendering index (CRI). The new light has a CRI of about 90 whereas the original CRI was 82. This means the light cast is far more natural than the original model with better reproduction of reds and oranges. Perhaps the one minor downside of the 5000+ is the decrease in burn time at 100% flood from 65 minutes to 60 minutes. 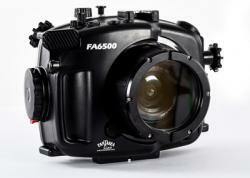 The Kraken Hydra 5000+ is available now at Bluewater Photo! The Hydra 1000+ is an amazing value for such a high-quality focus light! It is powerful yet compact. I have been able to create nice, warm macro shots with just the light and no strobes. Using the light is intuitive to the point where you can almost throw out your manual. Of the three beam modes, the wide is my favorite. Although it is certainly more diffuse than the spot mode, it has a nice warm color that can be nice for additional lighting to your subjects or macro video. If you wish to only use the light as a focus light – the auto flash off feature is unique and very functional. I recommend this light for photographers who need a good focus light but also want to add a little more color in their photo or video. The Kraken Hydra 1000+ is, quite literally, everything we loved about the (now discontinued) Kraken Hydra 1000 and more. They are the same light with one added difference – the auto flash off feature. With the Hydra 1000+ you have the option to set it so that the light will turn off automatically when your strobes fire so as not to get in your shot. This allows you to use the light solely for the purpose of focusing on your subject. If you prefer the light remain on, the feature is easily deactivated. The tripod screw mount and gopro mount has been removed from the package, but they still include a YS mount. The Kraken Hydra 1000+ is available now at Bluewater Photo! Why choose Kraken Sports over competing brands? Excellent customer service, a cheaper price per lumen, sturdy and compact equipment, and natural light color and temperature. There is really no comparison.